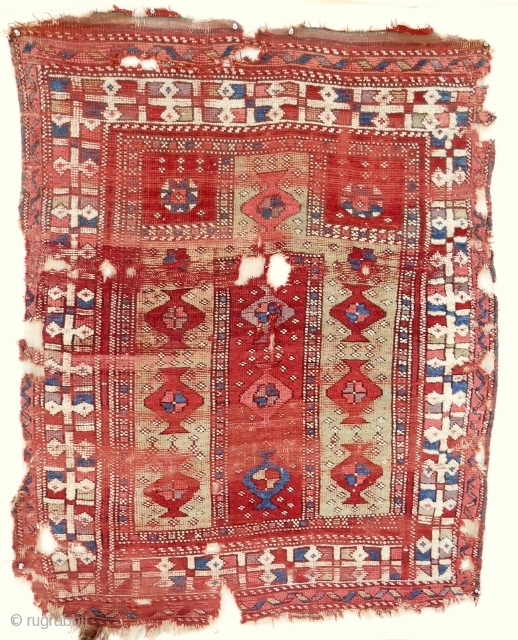 18th c. West Anatolian prayer rug (4x5ft). Very rare type. Only seen one other in Vakiflar museum. Excellent wool quailty and color.